Post the phenomenal success of Baahubali, film lovers across the country stood up and took notice of Telugu Cinema’s macho hunk, Prabhas. The Young Rebel Star in now a pan-India star and his fan base has grown by leaps and bounds. This gave an opportunity to the distributors from the Rest of India to cash in on the huge craze for Prabhas. 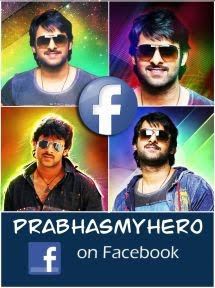 Some of the previous hits of Prabhas like Darling, Mr. Perfect and Mirchi will soon be releasing in Kerala. A noted Malayalam distributor purchased the dubbing rights for these films for a hefty price. Mirchi is being promoted as ‘Baahubali stars Back In’, as it stars Prabhas and Anushka. 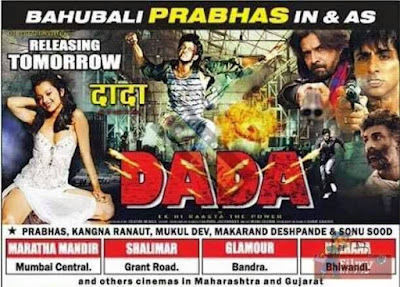 And in Mumbai and some of the Hindi speaking centres in the north, Prabhas and Kangana Ranaut starrer Ek Niranjan will be releasing tomorrow as Dada. This craze for Prabhas will only increase multifold when Baahubali The Conclusion releases next summer.